As game makers around the world prepare for the 2019 Game Developers Conference kicking off in San Francisco next week, remember that there's a new GDC Main Stage marquee presentation on the opening day of the Main Conference that will be livestreamed on the official GDC Twitch channel for everyone to enjoy! This inaugural GDC Main Stage presentation, The Developer’s Journey, starts at 12:30 PM PDT in the Moscone Convention Center’s West Hall next Wednesday, March 20th -- but get there (or tune in) early, because at 12:10 the pre-show starts, and it features a special Dreams performance! The Developer’s Journey will focus on finding inspiration over the course of a game’s development cycle, from its earliest conception through its development, to dealing with the fallout from the release and the post-release content. After the presentation opens with a special musical performance generated in Media Molecule’s upcoming creativity-fueled title Dreams. Media Molecule’s Siobhan Reddy will break down how Dreams helps unlock players’ creativity in unprecedented user-generated detail. From there, Hello Games’ Sean Murray will discuss how his small and unlikely team created one of the most ambitious and anticipated games of 2016, No Man’s Sky. He’ll then detail how by 2019, through determination and love, they built to record player numbers and sown positivity amongst their most negative detractors. This candid and open discussion will show the power of focusing on what you do, rather than what you say, in the face of adversity. The hope is that this multi-speaker Main Stage presentation (open to all GDC Conference and Expo+ pass holders) will inspire attendees and offer practical insight into creative challenges and opportunities unique to the game development community. For further details on the Main Stage presentation and all the other fantastic GDC 2019 talks, check out the GDC 2019 Session Scheduler. 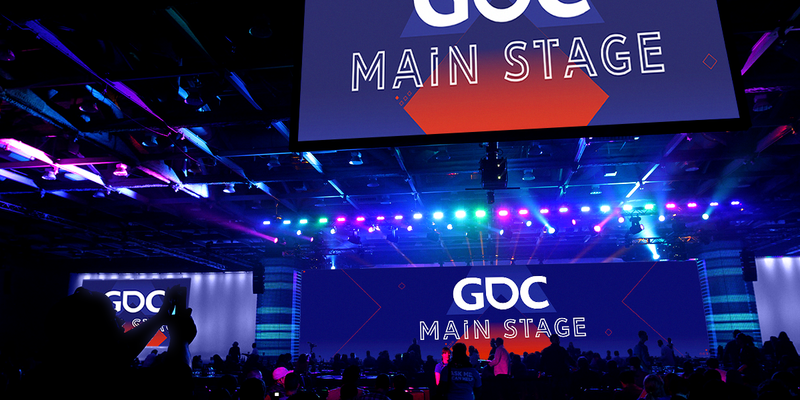 There you can begin to lay out your GDC 2019, which takes place next week (March 18th through the 22nd) at the (newly renovated!) Moscone Center in San Francisco!